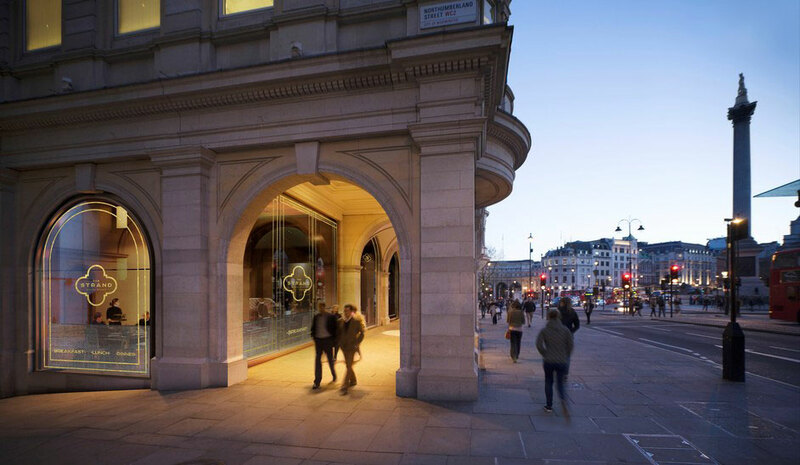 Acting for a private landlord, Nash Bond have secured a letting of 3 Strand to a new, all-day British Brasserie, The Strand Dining Rooms, which opened to the public on 7th July 2014. The 180 cover restaurant, launched by Mark Harris, promises to become a classic dining destination in the heart of the capital. Mark has previously worked at The Capital Hotel, Simon Parker Bowles’ Green’s Restaurant & Oyster Bar, and Searcy’s at The Gherkin. The restaurant was designed by Russell Sage and is based on the interior of a traditional railway Pullman Coach with all manner of polished wood finishes and beautiful detailing. The restaurants forms part of Grand Buildings, on the corner of Strand and Trafalgar Square and has been let on a new 25 year lease.